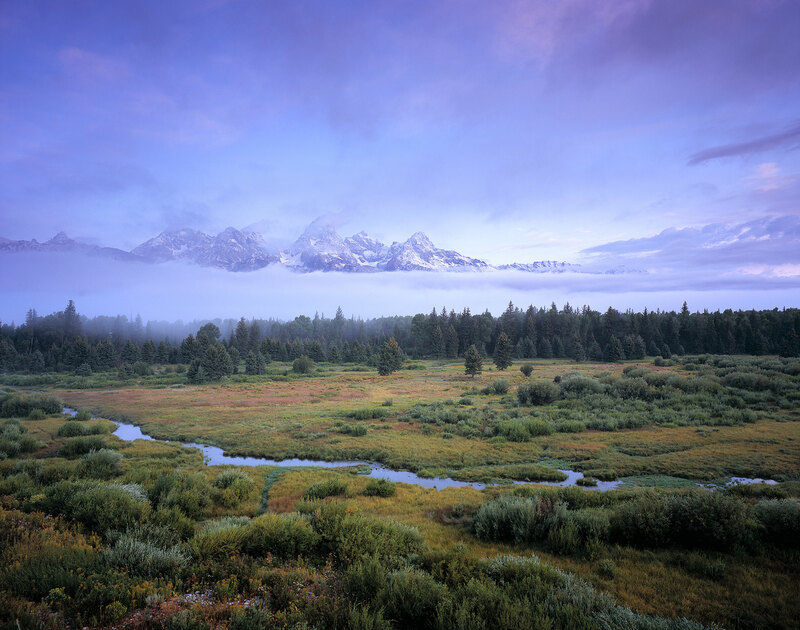 The Teton Range peeks through the mist at dawn, the day after a late summer storm brought fresh snow to the mountains. When I first arrived on this particular morning, after visiting the same spot for many days, this little valley near the Snake River was completely filled with mist, entirely concealing the mountains. Right as the sun was coming up, the mist cleared just enough for me to make this exposure before blanketing the mountains again.